Collegiate size ideal for venues that restrict display size. Features our patented Arch-Top header and inlaid stripes. 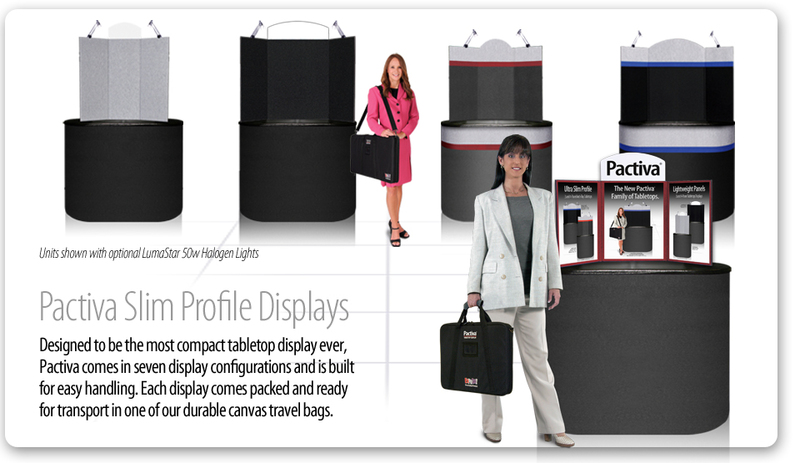 Lightweight panels combine with large image area and removable headers 10-panel stacking display that comes with backlit header & lights.